The White Wagtail can hardly be confused with any other bird. When the White Wagtail gets nervous - which soon is the case - it pops its long tail up and down uneasily. 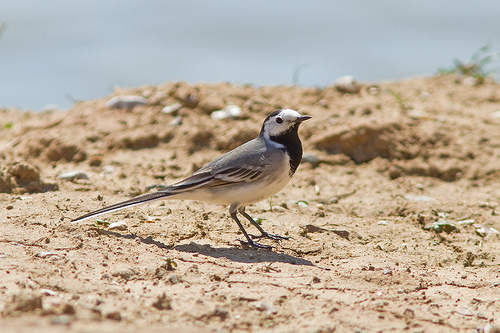 The dark version of the White Wagtail is considered a separate species, the Pied Wagtail. 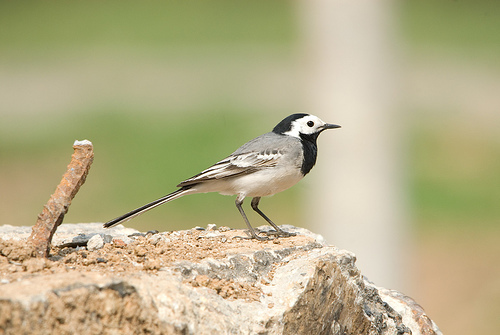 The White Wagtail has a grey upperbody. The Pied Wagtail is much blacker.